Surge arrester is a device designed to protect transmission lines & electrical distribution equipment against damage from sudden voltage increases (line surges) caused by lightning, erratic system conditions, faulty insulation, crossed power lines and other mishaps. Surge arresters or lightning arresters are not generally designed to protect against a direct lightning strike to a conductor, but rather against electrical transients resulting from lightning strikes occurring in the vicinity of the conductor. Our surge arrester or lightning arrester products work to improve the performance and reliability of today’s electric power systems. 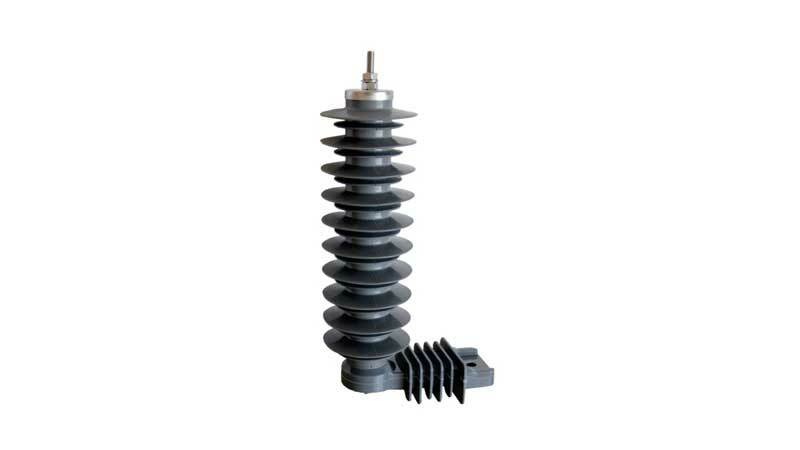 Surge arresters or lightning arrester are available in both porcelain and polymer, and are guaranteed to resist moisture ingression and partial discharge under most environmental conditions. Our surge arresters or lightning arresters are Gapless metal-oxide type, consist of Zinc-oxide Varistors, FRP Core and Silicone Housing. In modern era, gap less ZnO or zinc oxide surge arresters are mainly used for surge protection. We are leading lighting surge arrester supplier & manufacturer from UAE. 2) Mounting Bracket 1 No.